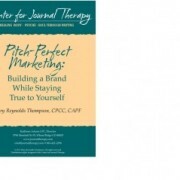 Edited by Kate Thompson and Kathleen Adams Therapists, coaches, healthcare professionals, and educators have known for decades that expressive writing is a powerful tool for better living. But until now, few have had access to practical applications that have proven successful. 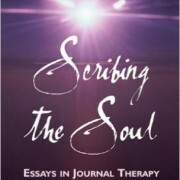 In this groundbreaking collection, you will discover how expressive writing can call us into healing community. 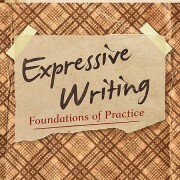 Expressive Writing: Foundations of Practice. Kathleen Adams, Ed. Foreword by James W. Pennebaker, Ph.D. Release: July 2013 Expressive writing is life-based writing that focuses on authentic expression of lived experience, with resultant insight, growth and skill-building. For decades, it has been the province of journals, memoirs, poets, and language arts classrooms. Social science research now provides indisputable evidence that expressive writing is also healing. In this remarkable collection, eight leading experts from education, counseling, and community service join to offer compelling guidance from applied practice. by Kathleen Adams, M.A. 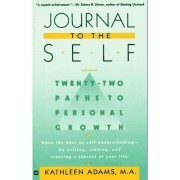 Nationally known therapist Kathleen Adams provides a powerful tool for better living--a step-by-step method to personal growth, creative expression, and career enhancement through journal writing. by Kathleen Adams and Marisé Barreiro Teachers begin the professional journey with a treasure chest full of experiences, hopes, and expectations gathered from early childhood. Yet the everyday stresses and challenges of 21st century classrooms often leave teachers with neither time nor energy to recall their initiating dreams and desires. In this innovative workbook you’ll be expertly guided through a journey of self-discovery, back to the roots of your story, your evolution as a teacher, and the rituals and routines that help or hurt. You’ll take time out to remember the ways that teaching blesses you. You’ll learn to confront the inner critic and push back against the voice that tells you to do more, more, more. You’ll discover the legacy you leave with your students. You’ll fall in love with teaching all over again. 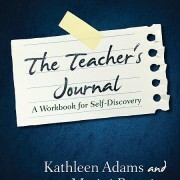 by Kathleen Adams In this well-designed workbook, you’ll learn fundamental journal skills to build confidence, clarity, and results. Especially helpful for those in therapy or recovery. 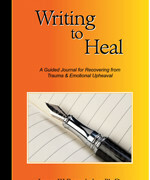 This is the newest edition of Writing to Heal, written by James W. Pennebaker, Ph.D., published by the Center for Journal Therapy. 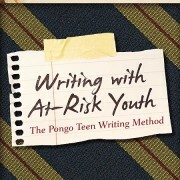 by Richard Gold This book describes a specific program for teaching and mentoring expressive writing by at-risk youth—a program that can generate transformative change in the teens, and generate significant new satisfactions for you.